James Zahn “The Rock Father” has posted some new images of Hot Wheels character cars from Solo: A Star Wars Story that shed additional, clarifying details regarding Enfys Nest as well as a look at others cars from the line. Click on through to check it out. Spoiler warning for those that are sensitive to such things. Update: images of Enfys Nest’s car (front and back) removed per request due to embargoed content per the source (The Rock Father). 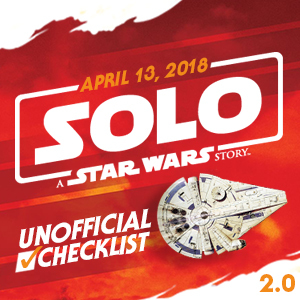 I made a couple late additions and corrections to the official “Unofficial Checklist” for tomorrow’s Solo: A Star Wars Story merchandise launch. Give it another peek to so you have the most recent information including today’s surprise reveals. 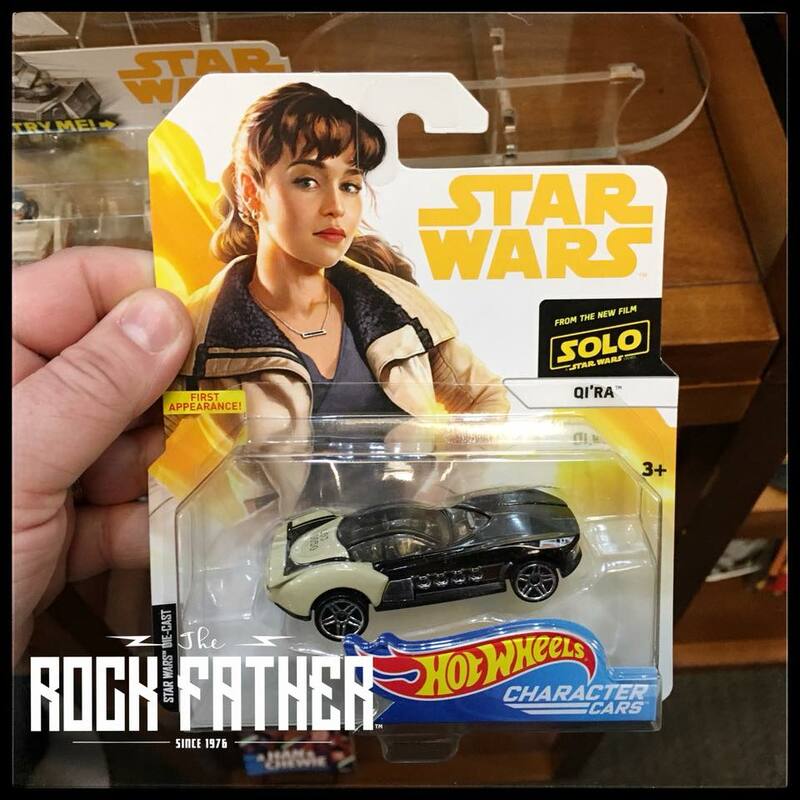 Fans of Hot Wheels character cars can look forward to several new models tied to the launch of Solo: A Star Wars Story as well as other characters from the saga. 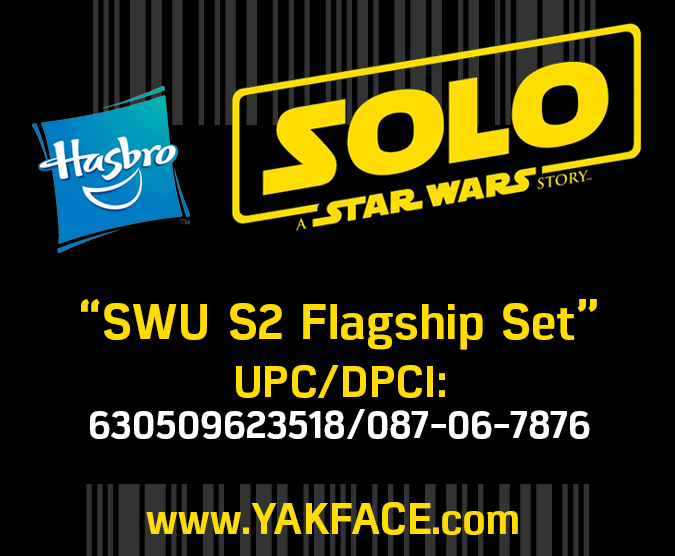 I managed to find about 16 new individual UPCs and SKU for Han, Chewbacca, Lando, “Nemesis”, “Hades”, Nien Nunb and others. I also found what looks to be a new line of “Lightsaber Series Vehicles” featuring Rey and Darth Vader. 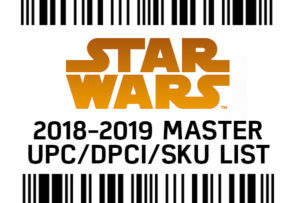 You can find all of the UPCs/SKUs listed toward the bottom of our 2018 Master List. 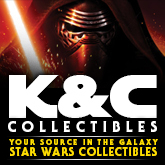 K & C Collectibles has added New Star Wars Hot Wheels, Sideshow, Gentle Giant Bust, Puzzles, Magazine and earlier issues of Star Wars Insider this week. Click the NEW PRODUCTS link under the Categories Section for a complete list of recently added items. K & C Collectibles wishing all a Happy New Year. In-Stock: New Mighty Muggs, New The Last Jedi 3.75″ Figures, Black Series 6″, Gentle Giant mini bust, Kotobukiya and Bandai Millennium Falcon model. Click the NEW PRODUCTS link under the Categories Section for a complete list of recently added items. Mattel’s line of Hot Wheels Diecast All-Terrain Character Cars show no signs of slowing down. Recently, the Kylo Ren and Rey car joined Luke Skywalker, BB-8, Darth Vader and First Order Stormtrooper. 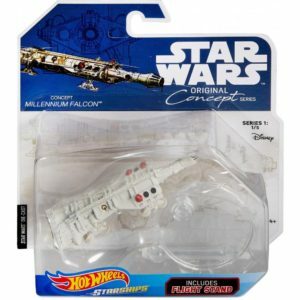 The next releases in the line will include Han Solo, Chewbacca , Yoda, and R2-D2. The pertinent UPC and WM SKU numbers are listed below. With The Last Jedi in the rear view mirror for many, we can continue our focus to products for Solo: A Star Wars. As a refresher, we revealed through several articles (below in reverse chronological order going back to October) new products from Hasbro and Mattel. Stay tuned for a more accurate breakdown of the first wave (wave 16?) 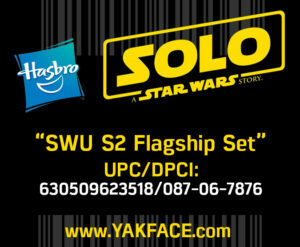 of 6″ Black Series figures that will include characters from Solo: A Star Wars Story very soon. Also, a friendly tip: 99% of the products with UPCs that we have shared over the months, can be found directly on Amazon.com and Walmart.com with a little app-fu and the barcode scanner built into their respective apps. You’re welcome :).